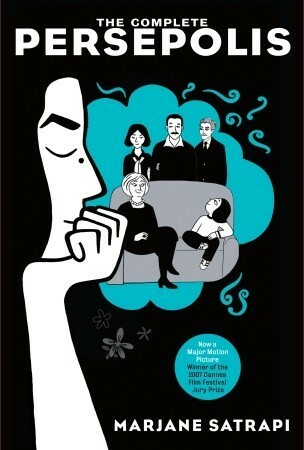 The Complete Persepolis by Marjane Satrapi, which I purchased for Book Club reading. Persepolis is the story of Satrapi’s unforgettable childhood and coming of age within a large and loving family in Tehran during the Islamic Revolution; of the contradictions between private life and public life in a country plagued by political upheaval; of her high school years in Vienna facing the trials of adolescence far from her family; of her homecoming–both sweet and terrible; and, finally, of her self-imposed exile from her beloved homeland. It is the chronicle of a girlhood and adolescence at once outrageous and familiar, a young life entwined with the history of her country yet filled with the universal trials and joys of growing up. Edgy, searingly observant, and candid, often heartbreaking but threaded throughout with raw humor and hard-earned wisdom–Persepolis is a stunning work from one of the most highly regarded, singularly talented graphic artists at work today. 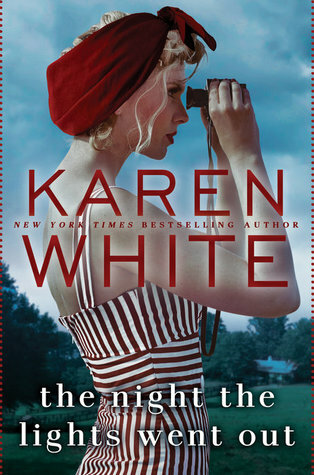 The Night the Lights Went Out by Karen White, which is my first GoodReads giveaway win! This one comes out in April 2017. Recently divorced, Merilee Talbot Dunlap moves with her two children to the Atlanta suburb of Sweet Apple, Georgia. It s not her first time starting over, but her efforts at a new beginning aren t helped by an anonymous local blog that dishes about the scandalous events that caused her marriage to fail. Merilee finds some measure of peace in the cottage she is renting from town matriarch Sugar Prescott. Though stubborn and irascible, Sugar sees something of herself in Merilee something that allows her to open up about her own colorful past. Sugar s stories give Merilee a different perspective on the town and its wealthy school moms in their tennis whites and shiny SUVs, and even on her new friendship with Heather Blackford. Merilee is charmed by the glamorous young mother s seemingly perfect life and finds herself drawn into Heather’s world. The Poetry of Weldon Kees: Vanishing as Presence by John T. Irwin for review in May. Weldon Kees is one of those fascinating people you’ve likely never heard of. What is most captivating about Kees is that he disappeared without a trace on July 18, 1955. Police found his 1954 Plymouth Savoy abandoned on the north side of the Golden Gate Bridge one day later. The keys were still in the ignition. Though Kees had alluded days prior to picking up and moving to Mexico, none of his poetry, art, or criticism has since surfaced either north or south of the Rio Grande. Kees’s apparent suicide has led critics to compare him to another American modernist poet who committed suicide two decades earlier–Hart Crane. In comparison to Crane, Kees is certainly now a more obscure figure. John T. Irwin, however, is not content to allow Kees to fall out of the twentieth-century literary canon. In The Poetry of Weldon Kees, Irwin ties together elements of biography and literary criticism, spurring renewed interest in Kees as both an individual and as a poet. Irwin acts the part of literary detective, following clues left behind by the poet to make sense of Kees’s fascination with death, disappearance, and the interpretation of an artist’s work. Arguing that Kees’s apparent suicide was a carefully-plotted final aesthetic act, Irwin uses the poet’s death as a lens through which to detect and interpret the structures, motifs, and images throughout his poems–as the author intended. The first rigorous literary engagement with Weldon Kees’s poetry, this book is an astonishing reassessment of one of the twentieth century’s most gifted writers. The Carbon Code: How You Can Become a Climate Change Hero by Brett Favaro for review in April. Favaro’s Carbon Code of Conduct is based on the four R’s: Reduce, Replace, Refine, and Rehabilitate. After outlining the scientific basics of climate change and explaining the logic of the code he prescribes, the author describes carbon-friendly technologies and behaviors we can adopt in our daily lives. However, he acknowledges that individual action, while vital, is insufficient. To achieve global sustainability, he insists that we must make the fight against climate change “go viral” through conspicuous conservation. The Carbon Code is a tool of empowerment. People don’t need to be climate change experts to be part of the solution! In this book, Brett Favaro shows you how to take ownership of your carbon footprint and adopt a lifestyle of conspicuous conservation that will spur governments and corporations to do the same. Climate-friendly action is the best decision on every dimension–economics, health and well-being, and social justice. Saving the planet is, after all, about saving ourselves. The Carbon Code provides a framework to do this, and helps you to become a hero in the fight against climate change.